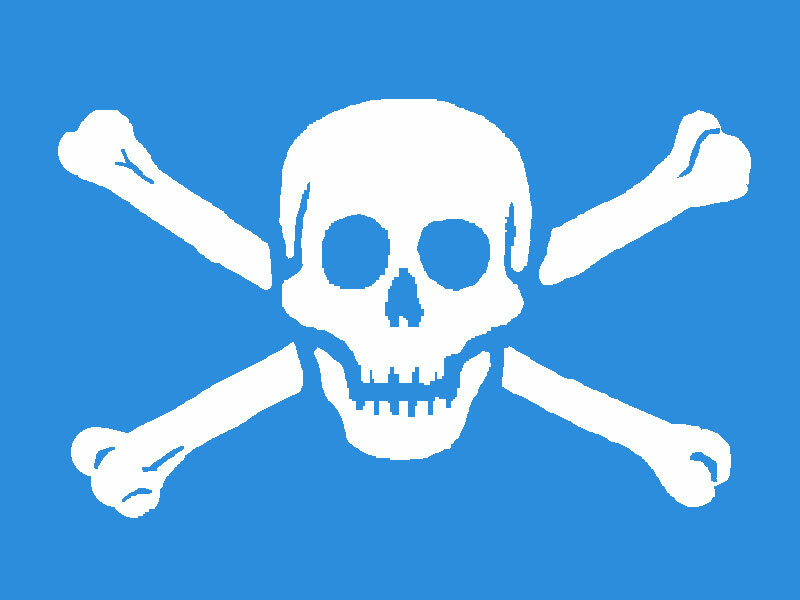 Share the post "Pirates sailing the Internet"
One of my dear elderly clients called me today to have me stop over and look at a letter she received that she didn’t quite understand. She didn’t sound concerned on the phone yet by the call, I figured it was important, as she normally doesn’t bother about day to day happenings. When I arrived after exchanging greetings, she handed me a letter addressed to her. It had no return address on it other than a postmark and two stamps from South Africa. Inside was a letter and a check for over $4,000.00 made out to her. The check was drawn on a bank in Nebraska. In reading the letter, I immediately thought something fishy was going on with whomever sent the letter and check. In a nutshell, the letter was saying that my client was a runner up in a drawing and her winnings were in the amount of $300,000.00. The check was to be used as an initial deposit for the costs of her setting into motion the process of acquiring the winnings. In the letter it said she would have to pay a little over $3,000.00 to get the prize. The letter instructed her to call a certain number and ask for the person named therein who would then give the instructions to deposit the check and afterwards, receive additional instructions at that time. My customer said she thought it was some kind of scam but she couldn’t get the idea out of her mind that there as a large check issued to her. She said, “I wonder what would happen if I deposited that check?” I strongly advised her not to deposit it. After thinking about it several moments, she told me to take the letter, check, and envelope with me and find out what I could for her. My customer is quite elderly and doesn’t have access to the internet. After returning to the office and taking care of some more pressing duties, I got on the internet and started doing a bit of research. It didn’t take long to find that there are other people around the country who’ve received correspondence like this. Nearly all of the people were saying that these letters and checks were sent to elderly people. It talked about one person who did cash the check and follow the instructions of the sender. The sender instructed the recipient of the check to have the $3,000.00 wired from their account to a bank. Well, some days after that was done, the poor elderly person was contacted by their bank telling them the check they deposited did not clear and was returned for insufficient funds. So, they found themselves duped out of $3,000.00. One of the posts I read was telling anyone who receives these letters and checks to hand them over to the US Postal Service so they can track the senders and prosecute them. This is yet one more example of how the elderly who are more trusting and not savvy to the evil ways of the internet, find themselves milked out of their hard earned savings. What makes me very angry is how the computers have become high tech tools for the stalking of those who are in certain age brackets. There is too much information to be gleaned from the internet by people who have chosen to become pirates sailing the high seas of the internet.